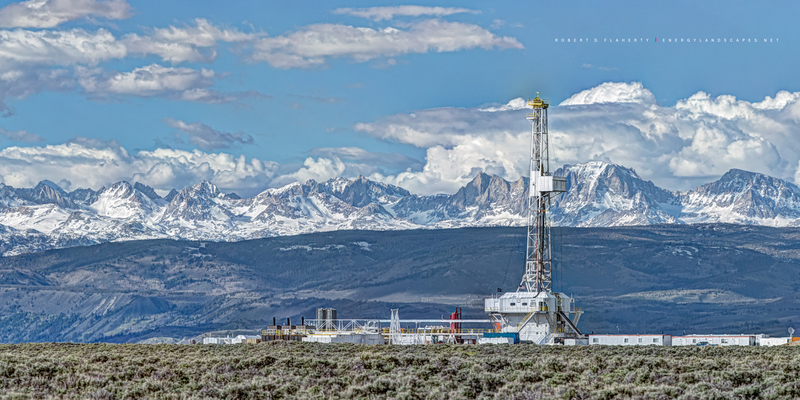 Wind River Spring Panorama features Unit Corp. Drilling Rig 125 drilling a deep lateral gas well in the Wind River Mountains of Western Wyoming in May 2015. Spring comes late at 8000 feet in Wyoming. The formation known as the Pinedale Anticline is one of the nation's most prolific natural gas producers.